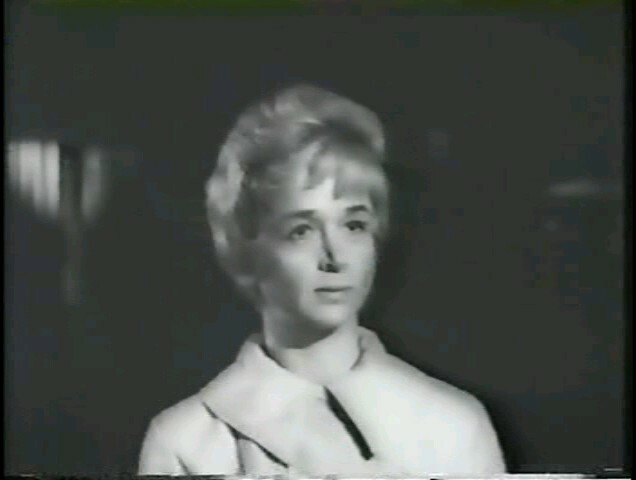 When a white single mother (Barbara Barrie) marries an African-American co-worker (Bernie Hamilton), her bigoted ex-husband (Richard Mulligan) sues for custody of their daughter (Marti Mericka). It’s easy to see why this brave film about interracial romance was cheered when it debuted at the Cannes Film Festival. One Potato, Two Potato dares to show a man and a woman whose love for each other is blind to race, yet it never shies away from depicting the bigoted and/or defensive reactions of those around them. Barrie and Hamilton’s romance is an issue not only for prejudiced whites (note the quietly devastating shot during their wedding, when a female attendant stares at them with ice water in her veins), but for Hamilton’s parents (nicely played by Vinnette Carroll and Robert Earl Jones) as well: Jones in particular resents what he sees as the intrusion of whiteness into his hard-earned independence. 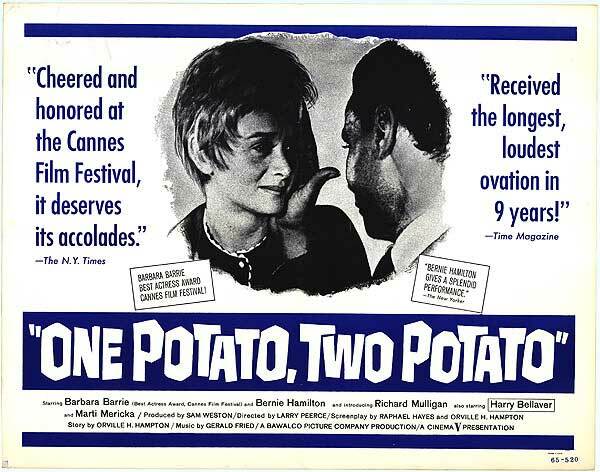 While not every scene in One Potato, Two Potato works (some — such as when Mulligan meets his estranged daughter for the first time in years, or when Barrie and Hamilton hopscotch together in the park — smack of preciousness), they’re easy to forgive, given the film’s overall sincerity. This would make a wonderful double-bill with Guess Who’s Coming to Dinner (1967). No, but it’s recommended simply for its historical importance. First viewing. Almost total agreement; which is why I would call it a must. (Although this is another extremely difficult film to find. Part of the problem may be that it was distributed by ‘British Lion’; never heard of it – but ‘OP,TP’ doesn’t pop up on tv; rights issues?) The film does have historical importance and remains relevant. As noted, the ending is esp. potent.